Sweden. Gulahund in the latest number of the Swedish Online-Magazin Hundens Värld. 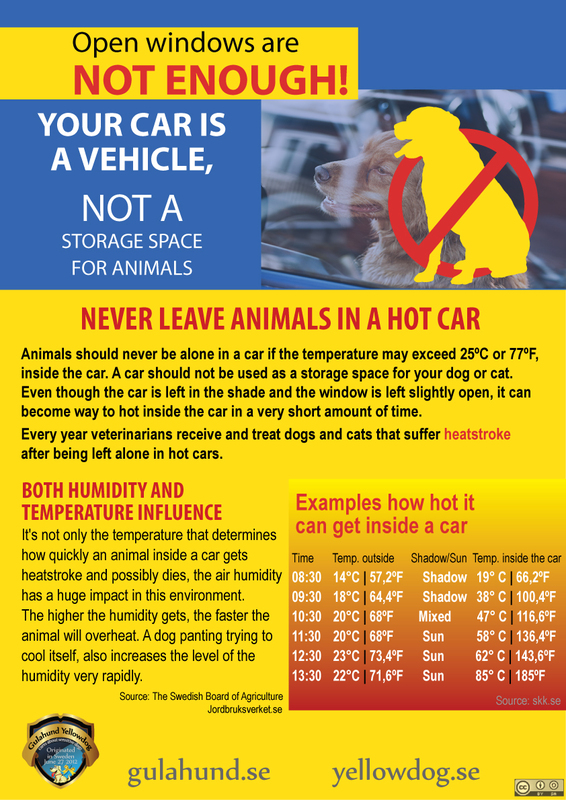 A free magazin for all dog owners. Sweden. ”Gulla inte med gula hundar”, an article with Nathalie Norberg about Gulahund, local Sundsvalls newspaper online. Sweden. ”Gult på kopplet betyder stopp”, Local Swedish radio P4. An interview with Nathalie Norberg, and an article, P4 Västernorrland. Sweden. ”Vad är Gula hund för något?”, an interview with Maria Ahola in an article in the local news paper Uppsala Nya Tidning. Sweden. ”Gula hund sprider sig som en löpeld”, Local paper the Helsingborgs Dagblads online-news, hd.se. Sweden. Ulla-Britt Östlund in an live interview on Swedish Radio, Vaken. Sweden, ”Gulla inte med gula hundar”, TT – Tidningarnas Telegrambyrå, Scandinavians largest Newspapers’ Telegram Bureau is interviewing Maria Kjerstadius, TT-Tidningarnas Telegrambyrå. Sweden. ”Gulla inte med gula hundar”, an article in one of the Swedish largest newspaper, Svd.se. Online article Svd.se. Sweden. 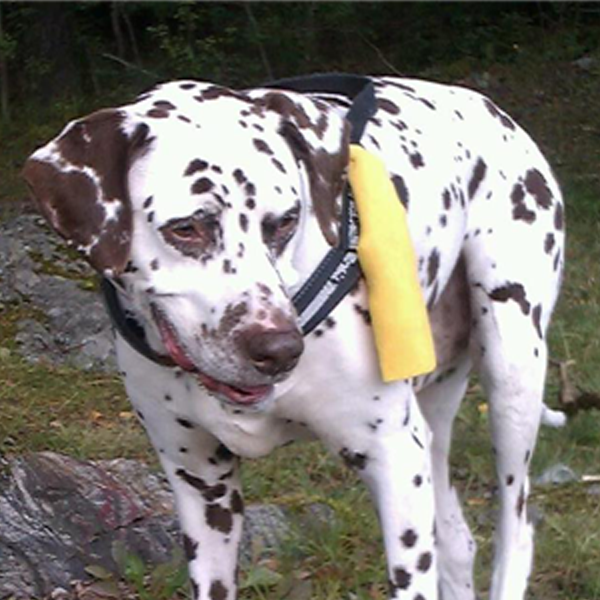 ”Därför bär hunden gult band” – Motala Vadstenas Tidning. An article in a local paper with Pirre Andersson. Sweden. ”Gulla inte med gula hundar”. an article in one of the Swedish largest newspaper, Dagens Nyheter. Sweden. ”Gul hund betyder inget gull”, ”Ska spridas i hela världen”. Local Swedish radio P4 Blekinge and P4 Sweden with Maria Ahola. P4 Blekinge and P4 hela Sverige. Sweden. An article in the local newspaper Trelleborgs Allehanda. Sweden. 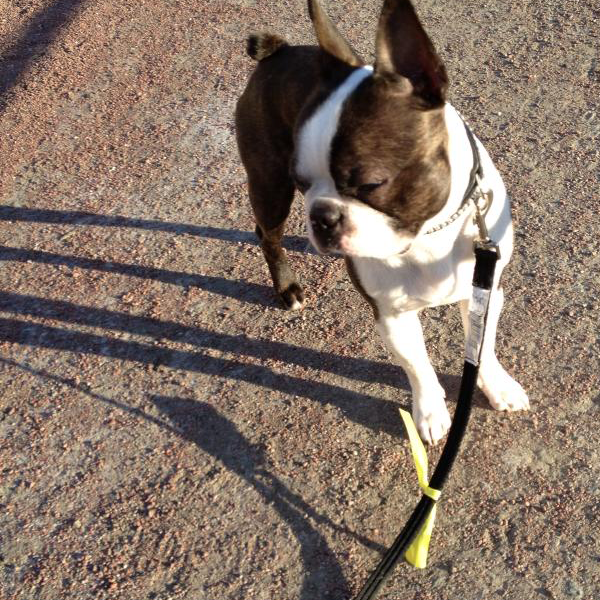 ”Gula hund – inte dumt”, An article in the regional newspaper Västmanlands Läns Tidning. Iceland. The Icelandic Kennel club links to Gulahund’s website, HRFI. Sweden. ”Gula hundar”, A Radio interview and an article with Maria Ahola, Annan-Lena och Gunnel, at the Swedish Radio, P4 Uppland. Sweden. An intervew with Maria Kjerstadius på Radiohouse’ podcast. The Swedish/Finish radio YLE Arenan. Sweden. ”Kampanj ska ge hundar utrymme”, An article in the local paper Barometern Kalmar. Sweden. Pirrko Andersson in a live interview at the local Swedish Radio, P4 Skaraborg. Sweden. Maria Ahola in an interview in the local Swedish Radio, P4 Norrbotten. Sweden. Pirrko Andersson in a radio debate with SKK at local Swedish Radio P4 Jönköping, P4 Jönköping. Sweden. ”Med gula koppel får hundarna vara ifred”. An interview at the Swedish local radio P4 Östergötland. Sweden. ”De strider om det gula bandet”, An online article in one of the Swedish’ largest new paper, Dagens nyheter. Sweden. ”Gulahund ska skapa distans”, An article with Susanne Franzén Sandberg, in the local newspaper, Norrköpings Tidningar. Sweden. ”Var aktsam med de gula hundarna”, An article with Susanne Franzén Sandberg, local news paper Folkbladet.se. Sweden. Pirrko Andersson in a live interview with Erik Blix, P4 Extra Sommar. Iceland. ”Hundar merktir gulu þurfa meira pláss”, An article in the newpaper Fjordurinn.is. Iceland. ”Gulir hundar þurfa meira pláss”, An article in the newpaper online Visir.is. Iceland. ”Sumir hundar þurfa meira svigrúm”, An article in the newpaper online 2012.is, Island. Sweden. ”Gulmärkt hund behöver utrymmer”, Elin Mattson in an interview in the local newspaper helahälsingland.se. Finland. ”Koirien keltainen varoitusrusetti käyttöön Ruotsissa”, Maria Ahola in an interview in the local newspaper in the Finish newspaper Helsingin Sanomat. Sweden. ”Koirien keltainen rusetti saapui Ruotsiinj”. Maria Ahola in an interview in the Finish Radio in Sweden, sr.se. USA. 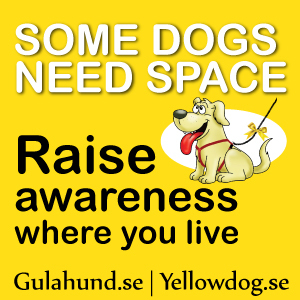 ”Yellow Dogs Need More Space”, The Humane Society Veterinary Medical Association in Washington DC links to Gulahund’s website. Sweden. A notice in the local newspaper, i Sala Tidning. Sweden. ”Gult band på kopplet betyder STOP”, An TV interview with Anki Rolfson at the local chanel TV4 Halland. United Kingdom. 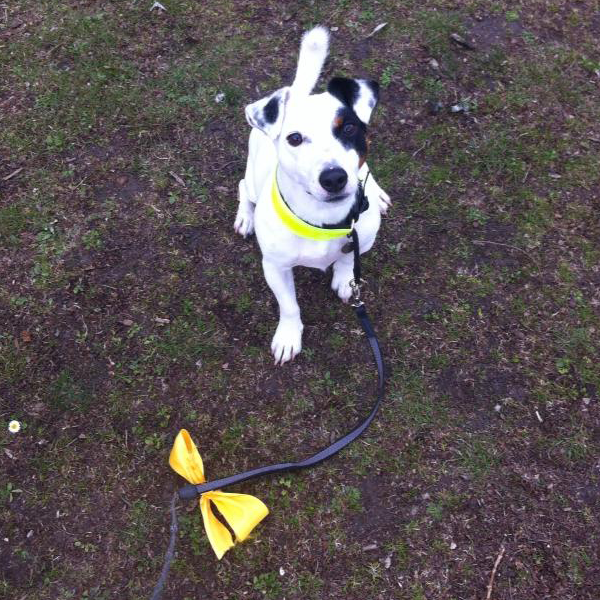 ”Some dogs needs space”, An article online at the news site Yoursourcetoday. Slovakia. About Gulahund on National TV evening news, Noviny. Ca 4 minutes in the program. Sweden. ”Gula hund”, Malin Björefalk has written an article in the local paper, Kristinehamns Aktuellt, nr 8, Augusti. Sweden. Frigångarna på Tjörn supports the Gulahund, Local newspaper in Tjörn, AnnonsNytt. USA. 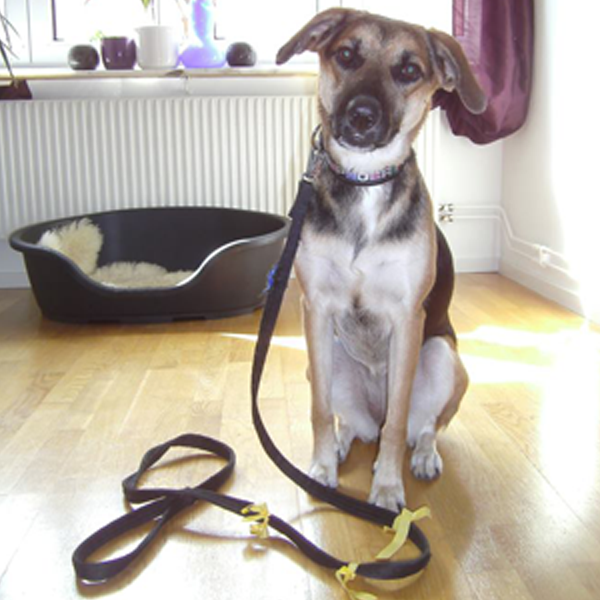 ”Yellow Ribbons for Dogs That Need Space”, An article at the Regal Pet. Germany. ”Gelbe Schleife kennzeichnet Hunde, die mehr Freiraum wollen”. An article and TV spot at HNA.se, with Elena Wende, Gulahund’s Ambassador in German, Gelber Hund braucht Freiraum. USA. 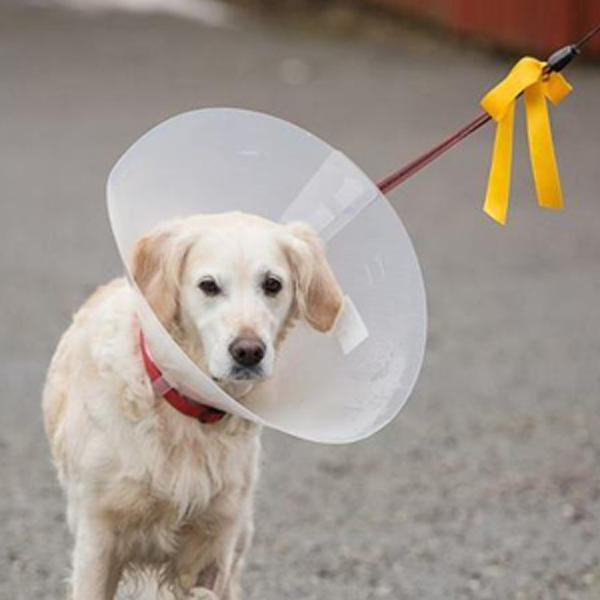 ”Yellow ribbons on dogs mean stay back”. An article by Nancy Celani Baker at Savannahnow.com, Savannah Morning New. Sweden. ”Se upp för Gulahund”, A notice in the dog Magazine Härliga Hund, nr 10 2012. Sweden, Norway, Danmark. 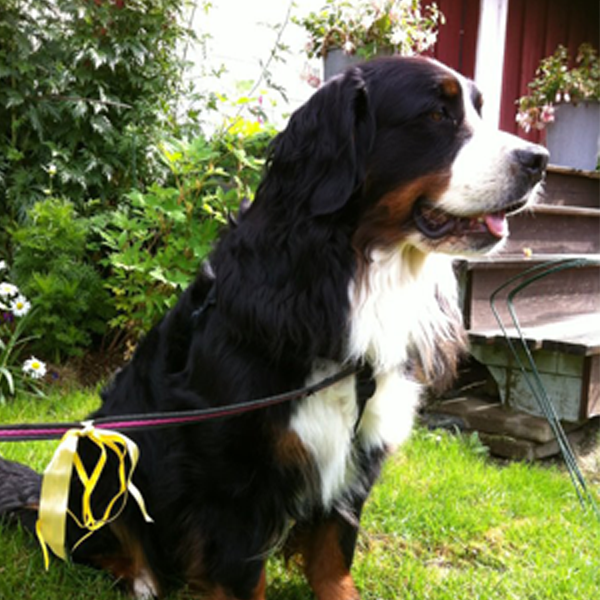 ”Vissa hundar behöver mer plats”, Canis, Scandinavia’s largest dog magazine, nr 5/12. 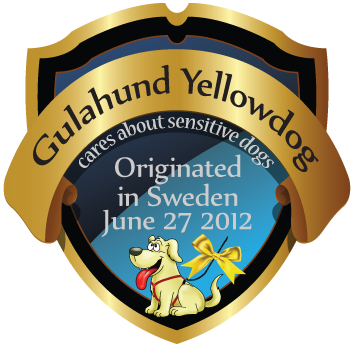 Sweden, The vet Christophe Bujon tells about Gulahund, in the Swedish TV chanel TV4. Nyhetsmorgon. Ca 9 minutes in the program. 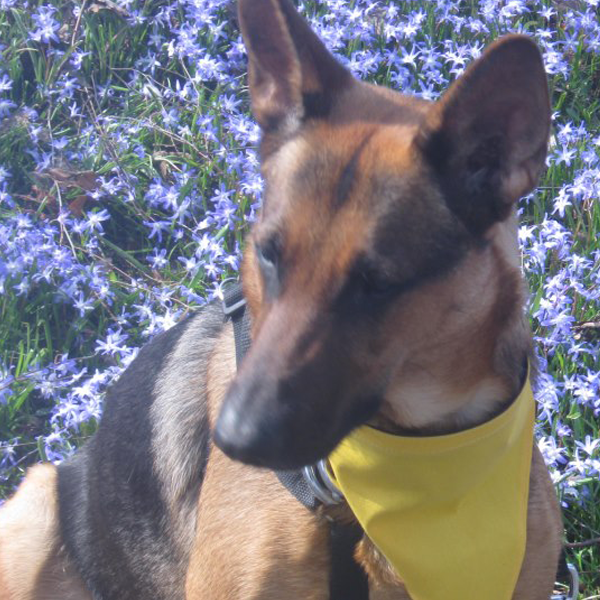 USA, ”Finally, a sign for pets in a doggone bad mood”, An article at HLNtv.com. Norway, ”Gi plass til gule hunder”, An article at the local newspaper, Fredikstad blad. Germany, Abstand gewünscht: Aktion ”Gelber Hund”, An article at dogs-magazin.de. Norway, ”Advarer mot gule hunder”, An article in the local newspaper, oa.no. Norway, ”Se opp for gule hunder” Den gule hund skal hjelpe hunden, ikke hundeeieren.” An interview with Gulahunds Ambassador Mimmi Engh, in the local newspaper, oa.no. Norway. ”Gul sløyfe = hold avstand, An article in the largest Norwegian newspaper, VG.no. Brazil. An article with Ulla-Britt Östlund, in the Animal Magazine, Cães & Cia. Norway. Gulahunds Ambassador in the morning sofa in Norways largest TV-chanel, TV2. 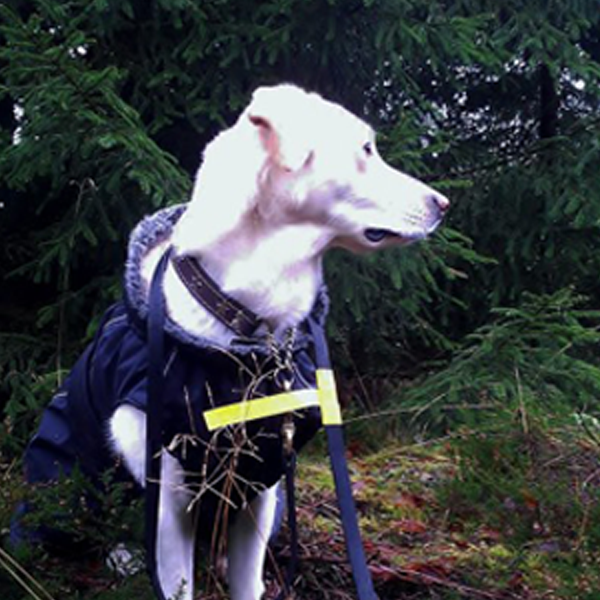 With her is also the welknown TV-vet Silje who really supports Gulahund. Norway. ”Hold avstand, takk, Ser du hunder med gule bånd skal du holde avstand.” An article at the online-newspaper. We at Gulahund think there picture is hilarious. Were is the space?! ht.no. Ireland. 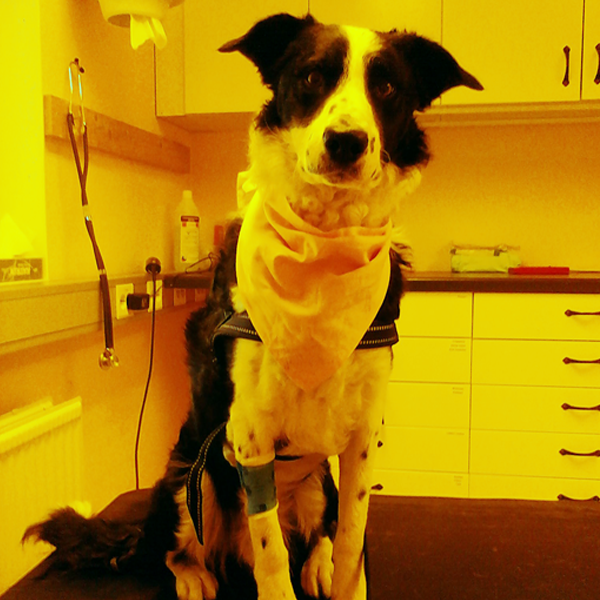 Yellow dog – Ireland, The vet Pete Wedderburn tells about the purpose of Gulahund, morning TV, TV3. USA. TV-spot about Gulahund, local TV KTBC FOX 7. Switzerland. 2 pages, an interview with Gulahund’s Swiss Ambassador, Animals magazine Tierwelt. Switzerland. Gulahunds Ambassador in a interview at Tierisch TV. Namibia. 1,5 pages about Gulahund, with the English Poster and information, PAKO – Paco Kids Magazine 12-2013. Danmark. 3,5 pages, an interview with Gulahund’s Ambassador Helle Linding Paulsen in Danish Dog Magazine, Vi med hund 8/2013. Sweden. Sweden’s largest weekly magazine, Allers, has a post about Gulahund. Germany. Gelbes Band: Konflikte unter Hunden auf einfache Art vermeiden, An article in the Local net news Lokalkompass.de.